Beautiful rayon print kurti in 40Inches length with use of denim chambray fabric at back part. 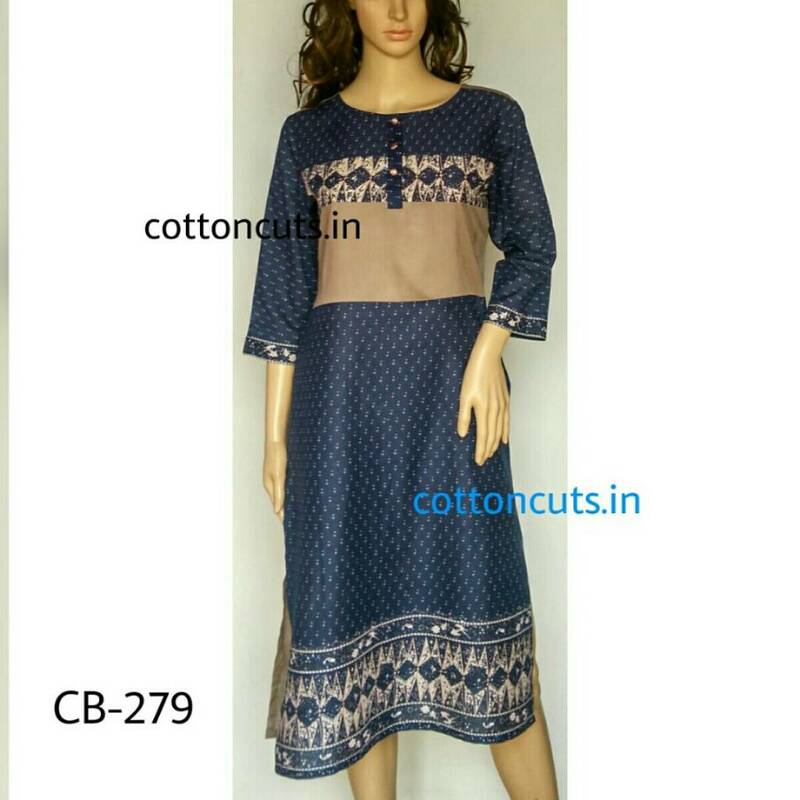 100% pure cotton cambric designer casual wear kurti in 46 inches length.Wholesale kurti is availble in set size of 3 pieces at highly competitive price. 100% Pure cotton cambric print with hand patched synchronised motif. 100% pure cotton cambric and pure poplene print combination with meticulously hand patched flower print. Designer kurti crafted in best quality Rayon print in combination of 100% pure cotton cambric sleeves. The design his hand worked with leaves work with glass beads to perfectly match with the print. Long length designer casual wear kurti made up of 100% pure cotton cambric.The design has a unique style of churidaar sleeves fabricated in combination of 100% pure cotton print and pure viscose shantoon to give a proper fall.The whole design is further embellished with perfect​ ribbon hand work.